If embarking on a new development as a beginner or with experience under your belt, engaging a project manager to look after all the day to day tasks is a must. A good Project Manager will save you time and money and reduce the stress by giving you peace of mind that decisions are being made with knowledge and experience. Having a Project Manager will improve your chances of success and allow you to focus on your job, family or the next project. How many years of experience does the project manager have? What type and size of projects have they been involved with? 2. How many projects are you currently managing? What sort of projects are they? Where are they located? Have you managed a site in this area. 3. How did you approach the last project like ours? Can you provide some references? Make sure you speak to past clients and where possible get permission to go through buildings previously managed by the project manager. 5. How long will my development take? Make sure the project manager can provide a full list of the documents they will produce and an approximate timeline for the approvals and construction. 6. Can you advise me on whether my feasibilities are realistic? An experienced project manager will be able to provide advice on feasibilities and even provide these for you where necessary. 7. Can you assist me with financing my project? Some project managers may have in house mortgage broking services that specialise in construction finance or be able to refer you to appropriate financiers for your project. 8. Do you have any concerns about my proposed development? Your project manager should be able to highlight any major risks associated with your development and offer suggestions on how to best mitigate these risk. 9. Which builder should I use? Is the building contract fair and reasonable? Is there anything not included in the building quote? Your project manager should be tendering for your construction works. 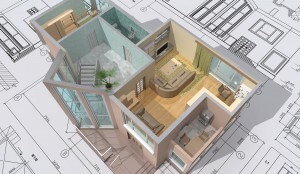 This process will determine the most appropriate builder based on timeframe, quality and price. The building contract should be thoroughly checked by the project manager to minimise variations so you know upfront your costs throughout the build process. 10. Can you help me source a development site? In many cases a project manager has a list of people wishing to buy or sell their property. This could be your next site or a simple way to sell yours. They may also be able to put you in touch with a potential joint venture partner should the development be too large for you to do on your own. ← Property Investors, Brace for Change!